we are super stoked to bring you one of our last development updates before our Early Access Release on April 18th. 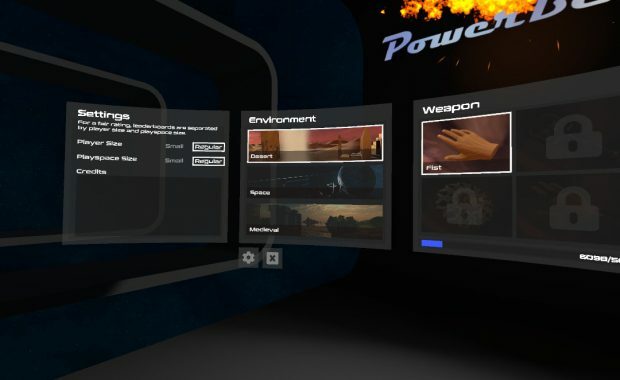 We are making great steps towards a VR product we would love to share with you. But we still have to pour some sweat (mostly while playtesting) and effort into polishing and bug fixing. The last days we have been working on stuff like the game menu, fixing bugs, and designing further song layouts, but we’ve also implemented the last big game features, the progress system, the leaderboards and the option to set player as well as playerspace size. 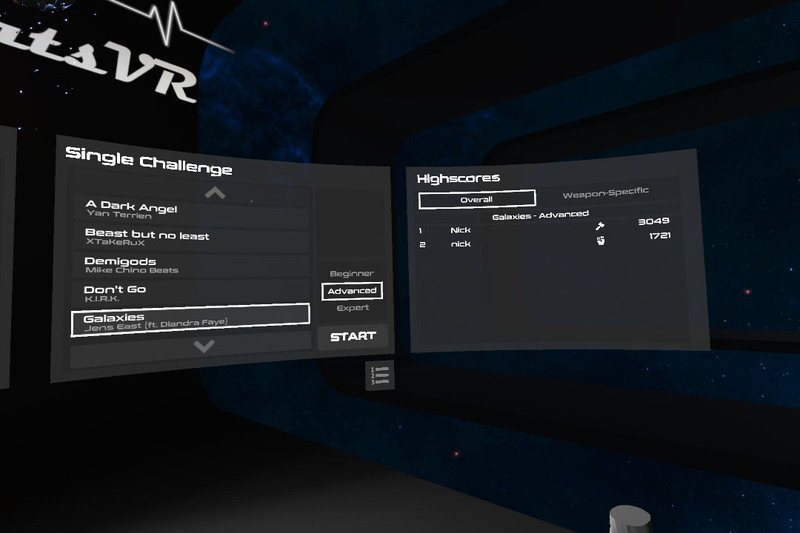 From the beginning, we wanted to create a rhythm-based VR fitness experience, where the players have to move their entire body and do more than just wiggling their wrists and forearms to succeed in the game. So we took the speed of hitting into account and designed the game for a playspace of 2.5(8.2′) x 1.5(5′) meters, which we had the most fun with. 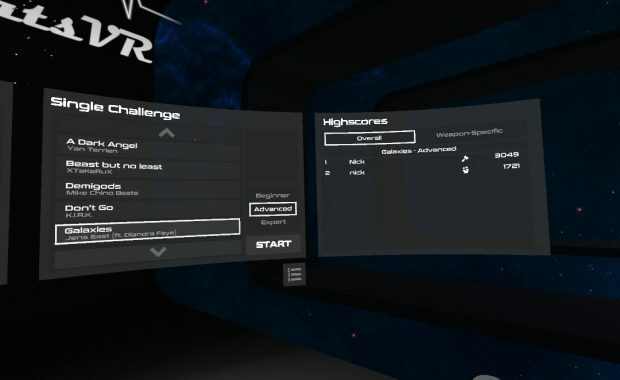 But, as not every VR player might have this space, you now have the option to scale the game down to a smaller playspace with its own leaderboards. The same goes for smaller people, who might struggle with reaching some of the incoming targets. Speaking of the leaderboards, they are now also up and running and are waiting for you to fill them up. Currently, you can see global leaderboards, but will also get the option to see only friends as well. 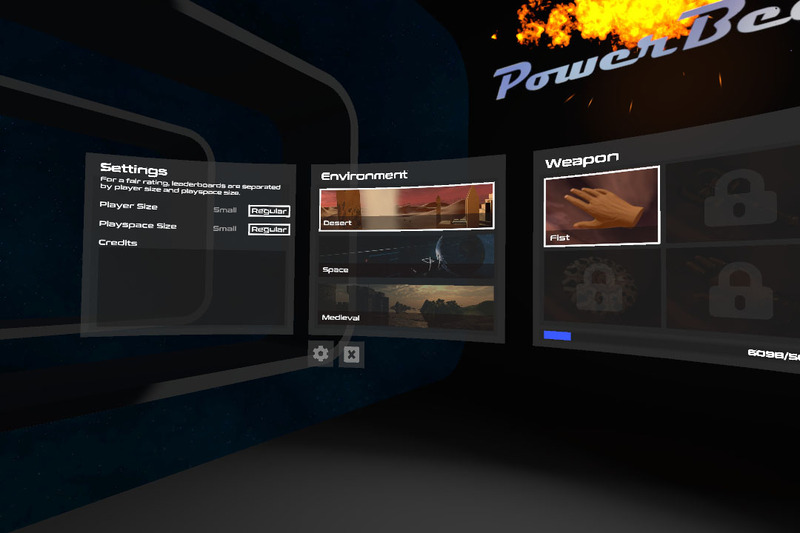 Of course, there are many more features, we have in mind and are going to implement after the Early Access Release. Join our Discord community server, if you want to stay informed or have some ideas for something you want to see in a future version of the game. We would love to see you there! And by the way, there will be some announcement regarding beta testing. But more about that later.